“Hot Topics” blog posts come from the desk of Jacquie Severs, our Manager of Communications and Social Media. It has been quite a social week here at the RMG! Yesterday was #AskACurator day on twitter. Ask a Curator brings together passionate experts from museums and galleries around the world to answer your questions on art, history and science. It was our third year participating and the event has grown each year. This year over 500 institutions from around the world took part, and #AskACurator was an international trending topic. At the RMG, I had Senior Curator Linda Jansma and Assistant Curator Sonya Jones standing by ready to answer questions. Click here to read our Storify round-up of questions and answers. This morning as I reviewed the day, I read a Hyperallergic blog post “Questions We Wish More Curators Answered During #AskACurator Day” and it got me to thinking that some of the questions are quite challenging to answer, especially in 140 characters. So I asked Sonya to answer some of them for me today. I think it enhances our collection–it engages people with the collection (whether online or in person), and asks them to look at art with a critical eye. In the end, while the curators are still in control of which works the public are choosing from and how the work is presented in the exhibition, it allows the public to take ownership of the collection and be a part of the process. This question made me laugh because it’s so true! They are used so frequently for a simple reason: it allows the inclusion of artists’ names and/or a sub-title that may give more information about the exhibition. #AskACurator – How is your #museum working to diversify your curatorial staff? With a curatorial staff of only 3 people this can be quite challenging. However, we are dedicated to working with independent curators who identify as culturally diverse including Charmaine Nelson, Heather Igloliorte, and Corinna Ghaznavi. We are currently working on a 2014 exhibition, Reading the Talk with Aboriginal curators Rachelle Dickenson and Lisa Myers. 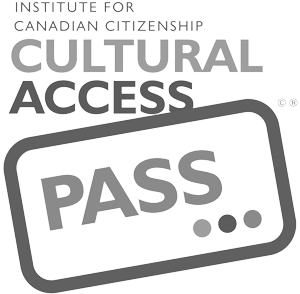 In addition, we are applying for a Ontario Arts Council grant to engage South-Asian curator Ambereen Siddiqui. Culturally diverse curators bring insight into themed topics that enrich our visitor experience, and reflect the growing diversity of our region. It can be an absolute pleasure working with an artist, while other times it can be pretty challenging. The thing that we always try to remember is that the artist is just as invested in the exhibition as the gallery is, and that at the end of the day it really is about supporting artists. As a final wrap up, I want to mention a fun project called Museum Selfies. Technology impacts so many aspects of our lives, and museums and galleries are working to engage people, but it isn’t always as fun and easy as this project! Museum Selfies is a tumblr blog that asks users to submit “selfies” (photos one takes of oneself on their phone) they’ve snapped at museums and submit them or tweet them with #muselfie to be included. At the end of the day yesterday I shared a #muselfie with my colleagues at the ROM, Mount Vernon, and the MIA. This morning, I was looking into the project a bit more and was delighted to discover a visitor to the RMG had submitted without my knowledge (see that post here). Staff have since been inspired to submit. I’m quite excited that photos taken in our gallery are up on the web alongside images captured at the MoMA, Brooklyn Museum, the Museum of Contemporary Art Sydney, and more. Or use the hashtag #RMGFridays on Twitter and Instagram.